With $3 billion of committed capital, Institutional Venture Partners (IVP) is one of the premier later-stage venture capital and growth equity firms in the United States. With $7 billion of committed capital, IVP is one of the premier later-stage venture capital and growth equity firms in the United States. Founded in 1980, IVP has invested in over 300 companies, 106 of which have gone public. 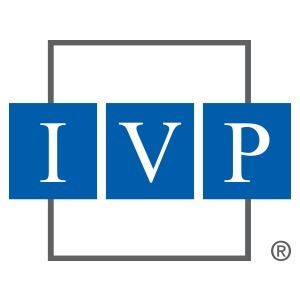 IVP is one of the top-performing firms in the industry and has a 36-year IRR of 43.2%. IVP specializes in venture growth investments, industry rollups, founder liquidity transactions, and select public market investments. IVP investments include such notable companies as AppDynamics (CSCO), Business Insider (Axel Springer), Buddy Media (CRM), Casper, Compass, Datalogix (ORCL), Domo, Dropbox, Dropcam (GOOG), Fleetmatics (FLTX), GitHub, HomeAway (AWAY), The Honest Company, Kayak (PCLN), Klarna, LegalZoom, LifeLock (LOCK), Marketo (MKTO), Mindbody (MB), MySQL (ORCL), Netflix (NFLX), Omniture (ADBE), Personal Capital, Pure Storage (PSTG), Slack, Snap (SNAP), SoFi, Supercell (SoftBank), Tanium, Twitter (TWTR), Yext (YEXT), ZipRecruiter, and Zynga (ZNGA). For more information, visit www.ivp.com or follow IVP on Twitter: @ivp. IVP (Institutional Venture Partners) was featured in a VatorNews article: "You thought raising Series A was hard? Here comes Series B!" IVP (Institutional Venture Partners) was featured in a VatorNews article: "Meet Jules Maltz, Partner at IVP"
IVP (Institutional Venture Partners) was featured in a VatorNews article: "The number of $100M deals expected to fall 30% this year"
IVP (Institutional Venture Partners) was featured in a VatorNews article: "Fear and loathing in Silicon Valley?" IVP (Institutional Venture Partners) was featured in a VatorNews article: "At Vator Splash Spring: what’s the outlook for venture?" IVP (Institutional Venture Partners) was featured in a VatorNews article: "Daily funding roundup - January 28, 2016"
IVP (Institutional Venture Partners) was featured in a VatorNews article: "Daily funding roundup - January 22, 2016"
IVP (Institutional Venture Partners) was featured in a VatorNews article: "Daily funding roundup - January 14, 2016"
IVP (Institutional Venture Partners) was featured in a VatorNews article: "Daily funding roundup - January 13, 2016"
IVP (Institutional Venture Partners) was featured in a VatorNews article: "Video: What Unicorns looked like at Series A/ Post-Seed"
IVP (Institutional Venture Partners) was featured in a VatorNews article: "Every unicorn needs a nemesis"
IVP (Institutional Venture Partners) was featured in a VatorNews article: "Daily funding roundup - October 13, 2015"
IVP (Institutional Venture Partners) was featured in a VatorNews article: "SteelBrick raises $48M, as it plans for eventual IPO"
IVP (Institutional Venture Partners) was featured in a VatorNews article: "Daily funding roundup - October 1, 2015"
IVP (Institutional Venture Partners) was featured in a VatorNews article: "Daily funding roundup - September 28, 2015"
IVP (Institutional Venture Partners) was featured in a VatorNews article: "Daily funding roundup - September 15, 2015"
IVP (Institutional Venture Partners) was featured in a VatorNews article: "Daily funding roundup - August 14, 2015"
IVP (Institutional Venture Partners) was featured in a VatorNews article: "Daily funding roundup - July 30, 2015"